News from Mars: Soil Good for Growing! With numerous plans for a manned mission to Mars, some of which are scheduled to one-way settlement projects, the question of how and what people on Mars will eat is an important one. What will the Martian diet look like? How will they grow their food? 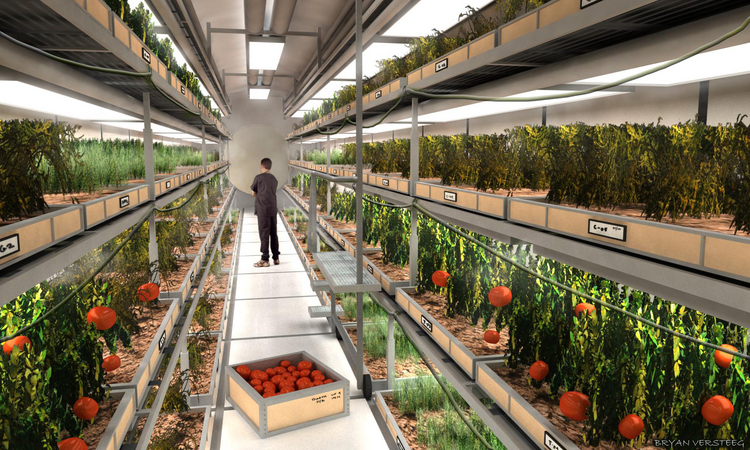 Will it people subsist on endless supplies of freeze-dried rations, or will they get all the veggies, fruits and protein they need from hydroponic produce? Well, according to Dutch ecologist Wieger Wamelink, the Martian settlers might just be able to grow their food in the local soil. In a series of experiments using soil tailored to fit extra-terrestrial environments, Wamelink was able to make a mustard seed sprout. The soil was provided by NASA, a sample which they had collected from the desert, dried out, and cleansed of certain nutrients that’s meant to replicate what Martian and lunar soil would be like. Wamelink had ordered more than 100 pounds of each type to his research greenhouse in the Netherlands to see what kinds of plant life might prosper in greenhouses on other planets. He and his team planted tomato seeds, stinging nettle, carrots, rye, and a host of other wild species in the soils in a series of 840 pots, then published their results in PLOS One late last month. I think we’re really the first to do that. We have looked at how plants see what [nutrients are] available in these soils, and it was unknown to NASA. They were very happy when we sent our results. 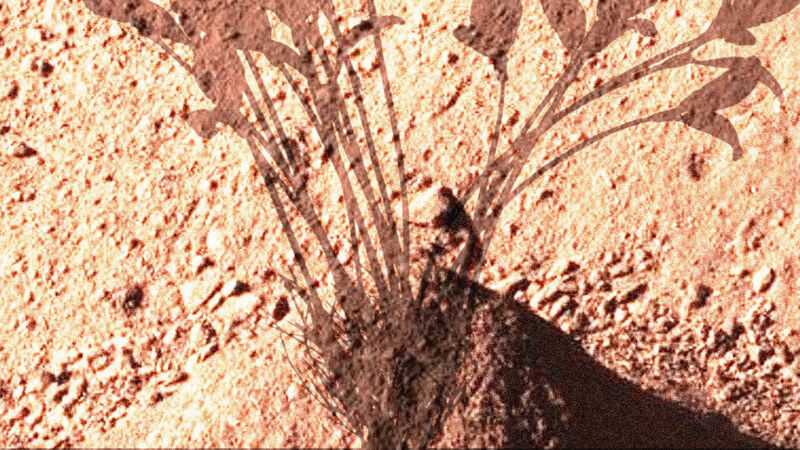 What was perhaps most impressive about the results was how well some plants fared in the imitation Mars soil. Some seeds germinated after just 24 hours and flowered within 50 days, something Wamelink had never expected. He knew that nitrogen might not be available in alien soils, but when he analyzed the Martian soil compared to nutrient-poor sand from the banks of the Rhine, he found that Mars actually had much more going for it than he thought. The Martian atmosphere contains nitrogen, and gusts of gases from the sun charge the nitrogen into a form that is digestible for plants. The planet also contains phosphorus, ammonium, and nitrates – all essential for plant growth. Field mustard and a tough, wild Dutch species called “reflexed stone crop” produced some of the best results. Lunar soil, by contrast, didn’t provide very friendly turf for earthling plant species. 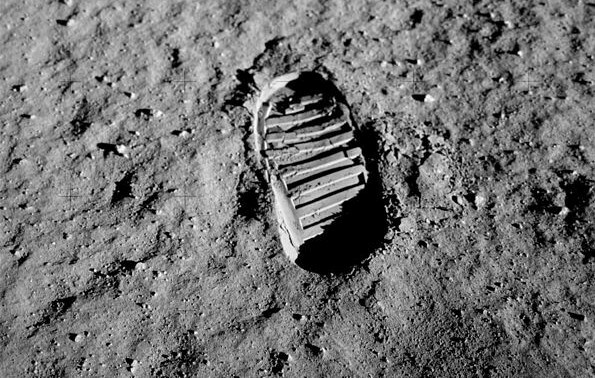 Soil on the moon is thin, dusty, and full of aluminum and other heavy metals. Martian soil also contains lots of heavy metals, but it is aluminum that most plants don’t do too well in the presence of. 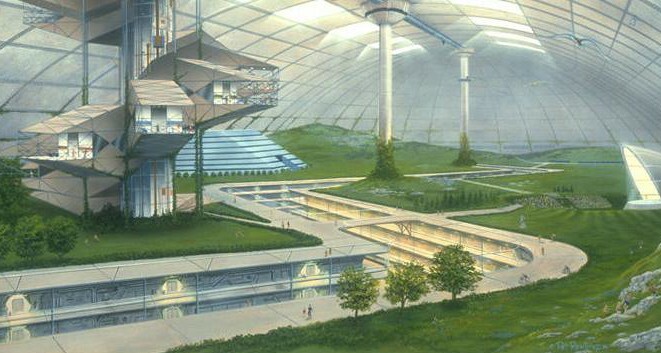 So for the time being (or rather, if and when we settle the Moon), Lunar greenhouses will have to look to imports of Earth soil while Martian settlers can simple scoop the soil they need from outside their airlocks. However, there are a few snags. For starters, even though Wamelink’s study provided some of the first evidence that species of Earth plants can grow on planets other than Earth, it still doesn’t show how eating those plants might affect humans. The Martian surface experiences lots of radiation, and eating radioactive plants full of heavy metals might not be the best idea for the human digestive system. 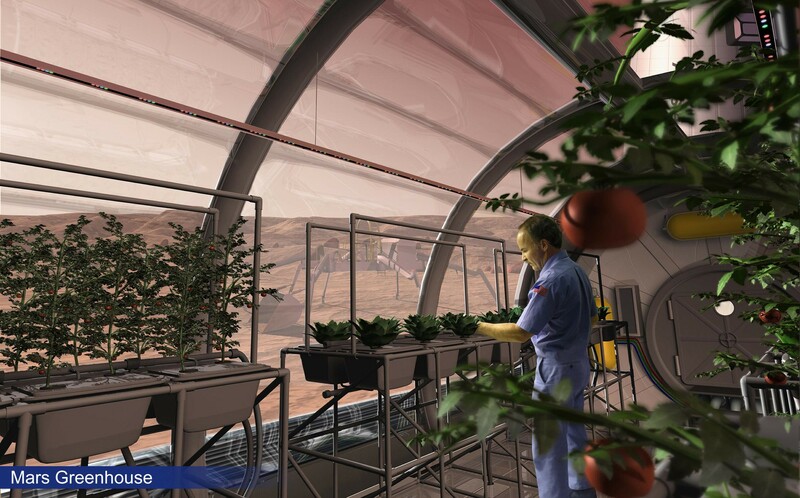 Nevertheless, Wamelink believes that some aspects of the Martian climate might actually be beneficial for plant growth. On a planet with a third of the gravitational pull of Earth, he suspects that plants might be able to grow taller than they ever would on their home planet. In his mind’s eye, he pictures plants encased in skyscraper Martian greenhouses. Alas, not all scientists agree with him, and he admits its an unresolved issue. Still, its an exciting one that is loaded with potential. And who’s to say that after a little processing and decontamination, Martian soil would have everything the settlers need to grow their own food? The very fact that it is being considered and examined so seriously shows our commitment to making an enduring human presence on Mars a reality someday. And as that day get’s closer, more and more questions are likely to be addressed. And figuring out how to grow our own crops in Martian soil will provide inevitable feedback on how we could use Earth plants to one day convert the ecology of the Red Planet and make it into something a little more suited to full-scale habitation. Who knows? In a few centuries time, Red Mars may become Green Mars. And perhaps even Blue Mars. Oh, Kim Stanley Robinson, you daring dreamer, you! News from Mars: MAVEN Orbiter Arrives! At least we know they won’t go hungry.